Aspirin is not meant for cats. Cats are not small dogs. Cats metabolize drugs such as aspirin very differently than dogs or humans. It is important to never give medications to your cat unless directed by your veterinarian; accidental toxicity and death are possible when medications such as aspirin or acetaminophen are given to cats. Related: Can I give my dog aspirin? In contrast to dogs and humans, cats are typically given much smaller doses at intervals of 48-72 hours. This drug, as with all drugs, should be only used under recommendation and monitoring by your veterinarian. There are alternative drugs available; please speak with your veterinarian. 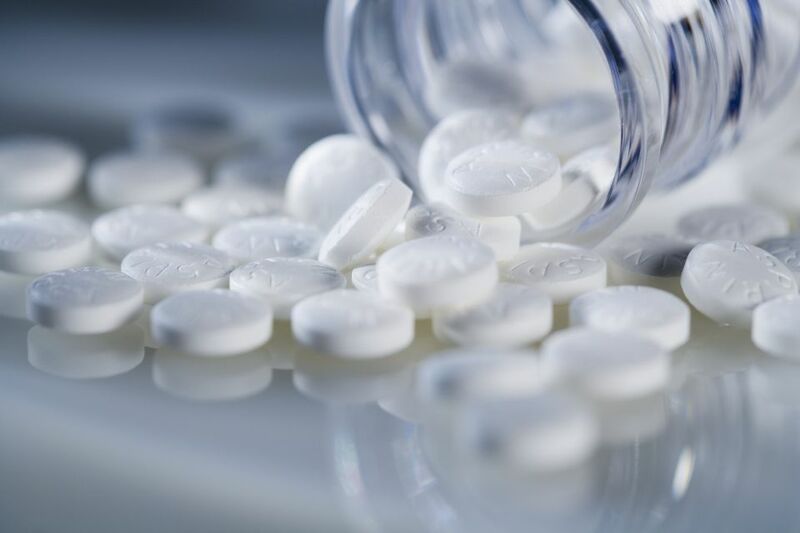 Aspirin is in a class of drugs called NSAIDs - NonSteroidal Anti-Inflammatory Drugs and dogs are particularly sensitive to the gastrointestinal effects, and pain, bleeding, and ulceration can be a side effect of these drugs. Coated aspirin helps with the gastrointestinal effects. Aspirin may also cause birth defects, so it should not be given to pregnant animals.1 Aspirin also interacts with several other drugs, particularly cortisones, digoxin, some antibiotics, Phenobarbital, and Furosemide (Lasix®).2 Newer and better drugs are now available for dogs and cats. Check with your veterinarian about what is going on with your pet and what would be the best drug for the problem. Can Cats Be given Glucosamine/chondroitin for Arthritis? Yes. Check with your veterinarian for available preparations and dosages. Never give dog medications to cats or vice versa. Glucosamine/chondroitin supplements, such as Cosequin, are an example of one glucosamine/chondroitin supplement for arthritic cats and may be used alone or with NSAIDs or other therapies. What About Other Drugs, like Tylenol® and Advil®? In a word, no. Tylenol is fatal to cats. Neither drug (acetaminophen and ibuprofen, respectively) is routinely used for arthritis. As always, please see your veterinarian to have your pet evaluated for pain, overall health (and blood work to check liver and kidneys, if indicated) prior to using these medications. If you suspect that your pet has gotten into a poison or overdosed, call your veterinarian or national hotlines, such as Pet Poison Helpline. Are Christmas Trees Toxic to Cats and Dogs? Is Benadryl Safe for Cats? Do You Have Plants in Your Garden That Are Toxic to Cats? Lily Plants Are Poisonous to Cats!